I was talking to a couple of my friends the other day as we were having coffee at Starbucks and they asked me a series of questions about SEO. Then I had a eureka moment to share some of these questions and answers with you all as to help share these basic questions of SEO with you all. Question 1 | SE What Again? So what exactly is this SEO? 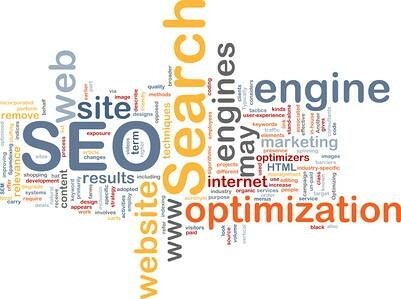 In a nutshell SEO can be coined as an umbrella term for a various number of ways to help your website rank higher within the results page of a search engine often called SERPs (Search Engine Result Page). Many people may call this also Search Marketing / Organic Search / Natural Search, ultimately meaning the same thing. Question 2 | What is the Reason Behind SEO? Recent statistics have shown that as much as ninety per cent of websites traffic comes from a Search Engine such as Google, Bing or Yahoo. Although for some sites this figure is not as high, but for many sites 30 – 50% of their traffic can be said to be given from searches. Ideally businesses that are ranked in the top 10 ranks of a SERPs page will have the highest amounts of visits for those particular keywords. So in business terms taking away the factor of SEO, we should be able to understand, more visitors equals more potential sales equals more money for your business! Question 3 | Can I Rank Number 1 for all the Words I Want? Simple answer no, however sites such as Wikipedia have ranked very well for a broad amount of keywords due to a variety of factors that work well for search engine algorithms. The reason behind this is because the SERPs delivered by a search engine such as Google & Bing are different for every set of keyword, therefore a variety of SERPs. So simply put if you rank well for playstation 3 console it does not mean you will rank well for play station three console, because of the different ways the query has been written. Question 4 | When Will My Keywords Be Page 1? This can be replied with “How long is a piece of string?” There are a variety of different factors that play and affect a keywords ranking factor which includes the competition for that keyword, your site (how search engine friendly is it?) and other sites linking to your site. So if you are aiming to rank for online gambling, expect a tough and long winded battle, however if you wanted to rank for “Muswell Hill Sausage & Bacon, Soda Water Making Business” you could expect to be page one for that term within hours or days. Question 5 | How Much Does it Cost? Again this relates to question 4 (kind of), as prices do vary greatly depending on how valuable SEO is to your business and how much money you wish to invest in this marketing avenue. For local businesses in a relatively uncompetitive industry, SEO agencies tend to help them by ranking for local long tail terms such as “SEO Agency in Great Bentley, Colchester, and Essex.” On the other side of the fence a global business such as ASOS could be investing hundreds and thousands into their SEO because of the importance the search results bring to their business. To be honest this short guide is here to just highlight some of the most basic areas of SEO as to give you a more general understanding and broader topic of the areas. However to know the basic principles is always a step in the right direction before getting into the nitty gritty parts of a subject. Furthermore, there are many great sources out there such as SEOmoz, Search Engine Journal and SEO by the Sea. These are industry leading SEO, PPC and Social Media leading news websites, that can be very helpful for noobs or experts! Pak Hou Currently works as a Search Engine Optimisation Executive at an SEO Agency called SEOptimise, with offices in Oxford & London. In his spare time Pak Hou enjoys badminton and ice hockey.